Dagmar Marshall, makes a mean spread of party snacks whenever her son comes home to visit the family in Park City, Utah. 2. 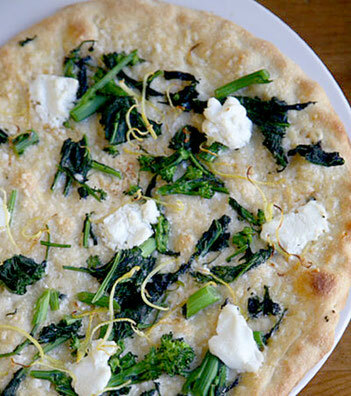 Cover dough with broccoli rabe, goat cheese, lemon zest, and salt and pepper; drizzle with olive oil.